Photo rep? List yourself for free by clicking here. 10AM is a creative team consisting of fashion photographers, film directors, stylists, hair & make up artists. Agency62 is an internationally-managed photography production house based in Shangai, China. We specialize in offering a one-stop-shop for commercial photo productions. Photographers : Marco Grob, Cade Martin, Sandro Baebler, Simon Barnes, Antonia Steyn, Bryan Traylor, Serge Guerand, Jason Knott, Philipp Jeker, Mark Cameron, Betina Du Toit, Elford / De La Foret, Jason Knott, Dirk Rees, James Meakin, Michael Lewis, Melissa Delport. 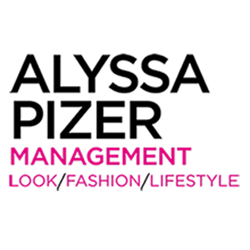 Alyssa Pizer Management represents fashion, lifestyle and beauty photographers. Toronto based boutique agency representing photographers local to Toronto shooting global campaigns. Apostrophe is a commercial photo agency with offices in New York and San Francisco. Our focus is high-end still life, lifestyle, landscape, and interior photographers. With offices in New York, Los Angeles, Miami and Chicago, ARTISTS by Timothy Priano is a full service agency representing expert hair and makeup artists, stylists, manicurists and photographers. Aurora Select provides assignment services to editorial and commercial clients looking for outstanding still, video and multimedia content.